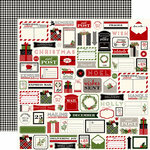 Deliver the holidays in a spectacular fashion with this Christmas Plaid Double Sided Paper by Carta Bella Paper! The 12" x 12" sheet has a bold black, white and red plaid on one side and a coordinating black with white dots pattern on the other. 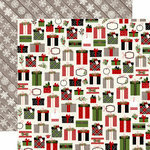 This paper coordinates with other Christmas Delivery Collection items. Love the colors and the weight of the paper. 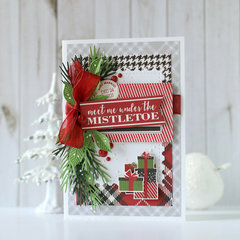 They are from a Christmas collection, but I love them both for anytime! Price was also very good! 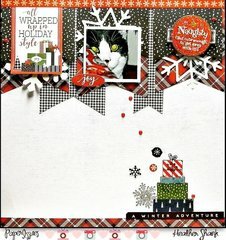 Carta Bella Paper is Fabulous! 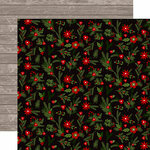 Carta Bella's latest release is on trend and beautiful! This paper is the go-to when you need sturdy paper for a project. I am delighted with my purchase! 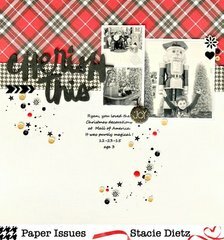 Carta Bella- do you need folks to produce projects for you to showcase your paper? I'm volunteering! 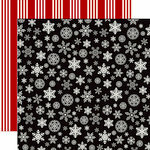 This is really nice paper for all your holiday craft needs . True colors and crisp design. Highly recommend. I will be ordering more of this paper. 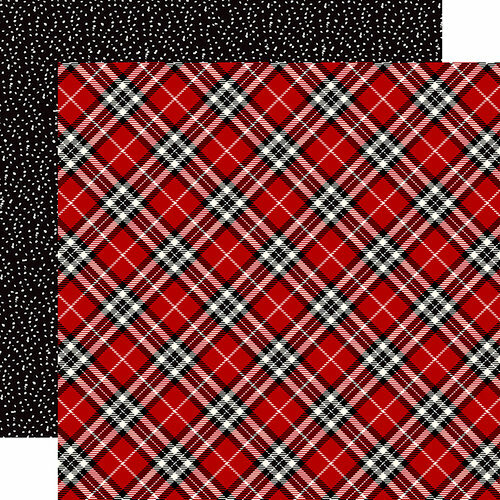 I really love this color combination! 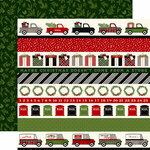 Loading up on Christmas paper, love plaids!! 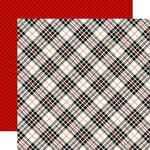 I typed in cardstock --was looking for plaid doublesided- and created a list of possibilities, but they all say "paper". Are they cardstock? By: bonnie eaton (03-Jul-17) Helpful Question? Yes | No Thank you! Report Inappropriate This question has been reported. Thank you! Carta Bella paper is cardstock weight. It is printed on a heavy-weight, textured paper. 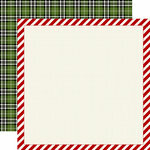 Most other patterned paper is slightly lighter weight (thickness) than cardstock. 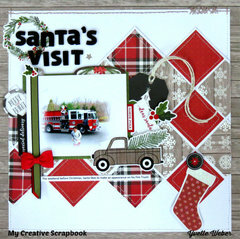 If you are looking for cardstock, search under the product type section. :) By: JenGallacher (04-Jul-17) Helpful Answer? Yes | No Thank you! Report Inappropriate This Answer has been reported. Thank you!